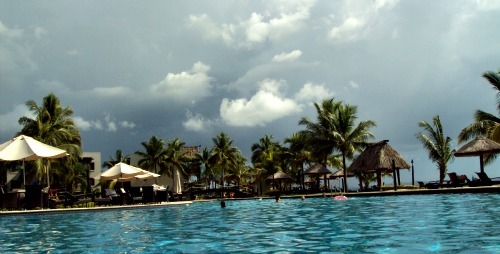 Fiji Weather - How's the weather for my vacation? How's the Fiji weather for my vacation/holiday? Find that out and more with the current weather, climate graphs, and even an interactive forecast predictor for your holiday dates. 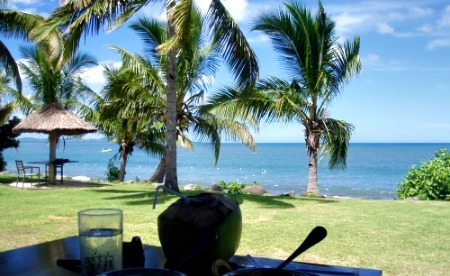 ... let me guess, it's paradise on the Fiji islands again! You're probably itching to see the 5-day, 15-day, or any near future dates of the weather forecast for your upcoming relaxing vacation/holiday. For me to consider a place to be 'paradise' , it has to have all year round warm weather. A particularly pleasant aspect of Fiji is that it's temperatures don't fluctuate. In fact most of the year, temperatures hover in the 25°C (72°F) to 31°C (87°F) range. It's differs marginally from the 2 main islands to the numerous smaller islands. When warm rain does pass through, it's usually brief. A good time to go inside for a cup of tea, read a chapter in that book, or even an afternoon nap. Personally I find it extremely refreshing to jump in the pool during the brief shower. Sometimes I hang out at the pool bar and quench my thirst! Find out about the Nadi-based Fiji Meteorological Service. This is coming soon with weather information for the outer islands.